Loved all. The property is gorgeous. All new and the service was wonderful. Extremely clean. Leo was wonderful arranging a early check in. Thank you so much Leo! Leo is superb, he makes you feel as at home. He is a real profesional, always with a smile in his face, always making you stay easier. I love the entire property and Leo was really gentle with us the whole stay. Helped us with everything we needed and attended to everything we needed. The apartment was super clean and the staff members were awesome! Leo checked us into the property and he was a great host, he had a positive attitude and he informed us where everything was located, restaurants, shopping ect...this location was very convenient, it seemed to be very close to everything. We stayed in a 2 bedroom terrace and the veiw of the bay was awesome! The beds were comfortable and the apartment was super clean.There were just enough dishes in the apartment to cook with. The area where the pool is located was truly beautiful, it’s actually located right on the bay. It was a very relaxing atmosphere, there is a nice sitting area with a fire place near the pool, a place to grill and a workout area. I loved the space, comfortable for a family of six. The pool and sand area were very relaxing, able to see dolphins, birds and manatee. Jose and Leo were very helpful during our stay. Would love to go back! We needed 2 beds in one room, not one. Photos were innacurate. 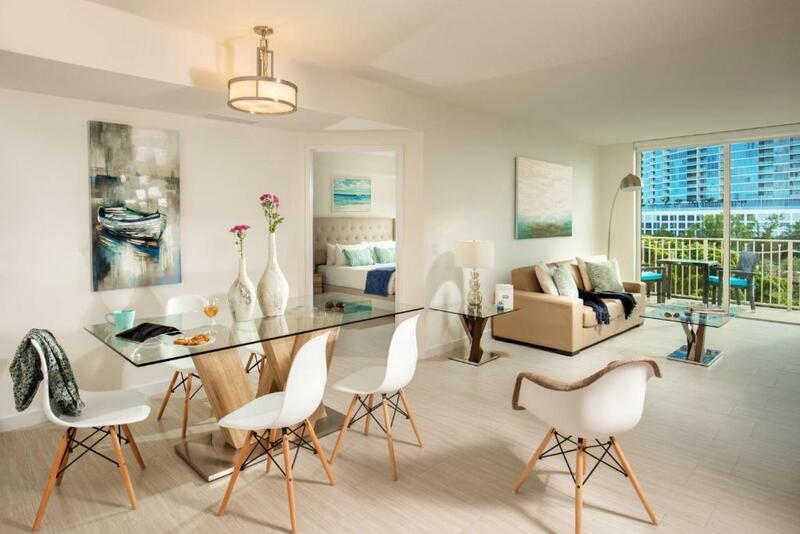 Lock in a great price for Mare Azur Design District Luxury Apartments – rated 9.3 by recent guests! 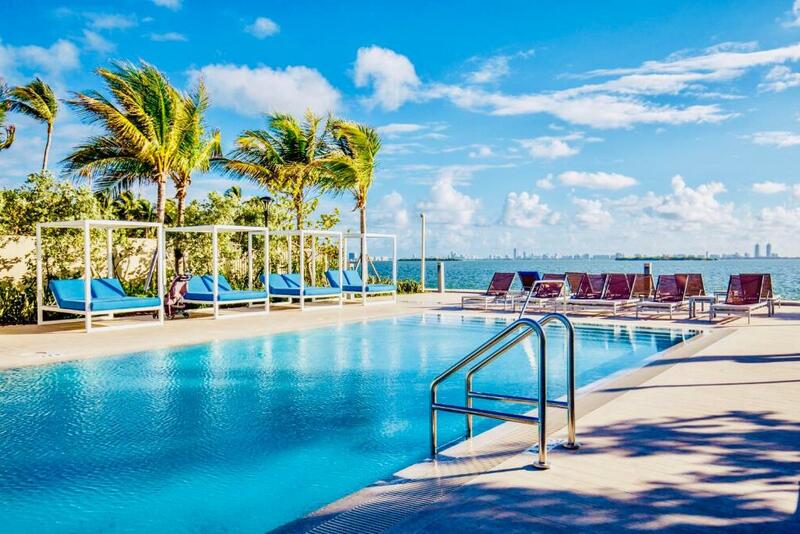 Mare Azur Design District Luxury Apartments This rating is a reflection of how the property compares to the industry standard when it comes to price, facilities and services available. It's based on a self-evaluation by the property. Use this rating to help choose your stay! 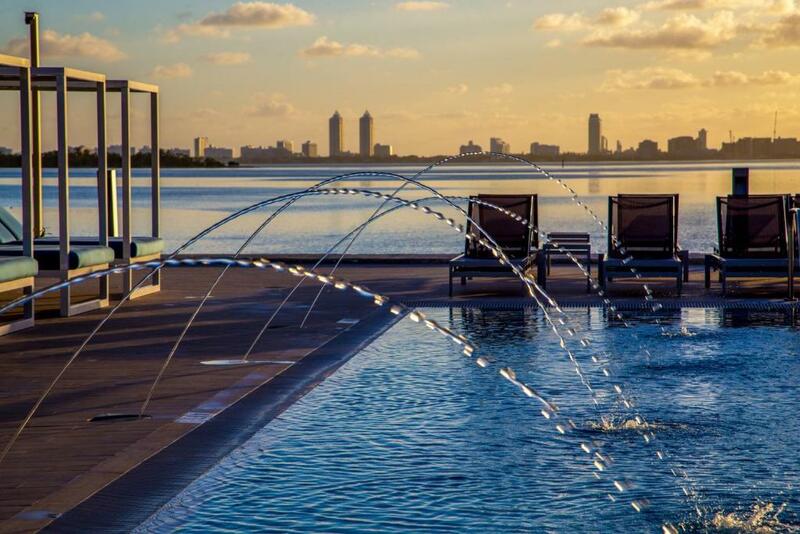 One of our top picks in Miami – and a guest favorite. 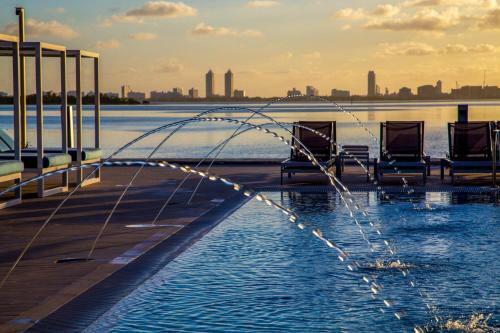 Offering an outdoor pool and located on Biscayne Bay, Art and Design District By Mare Azur Miami is a waterfront accommodations located in Miami. American Airlines Arena is 13 minutes' drive from the property. Every apartment includes a fully equipped kitchen, complete with an oven, microwave, and dishwasher. The living room includes a flat-screen TV and sofa. Art and Design District By Mare Azur Miami offers a barbecue for guests' enjoyment. 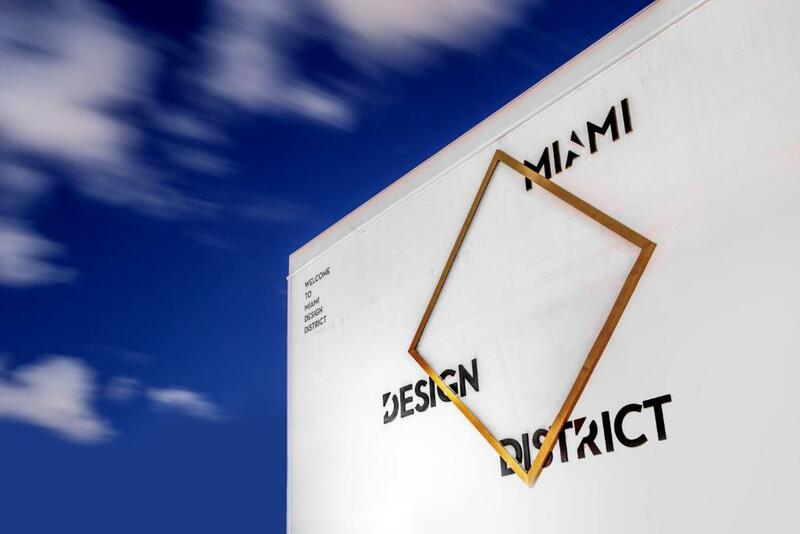 The Miami Design District is 11 minutes' walk from the apartment. The Shops at Midtown Miami is located 0.7 mi from the property. Wynwood Art District is 9 minutes' drive while the nearest airport, Miami International Airport, is 4.3 miles' drive from the property. When would you like to stay at Mare Azur Design District Luxury Apartments? 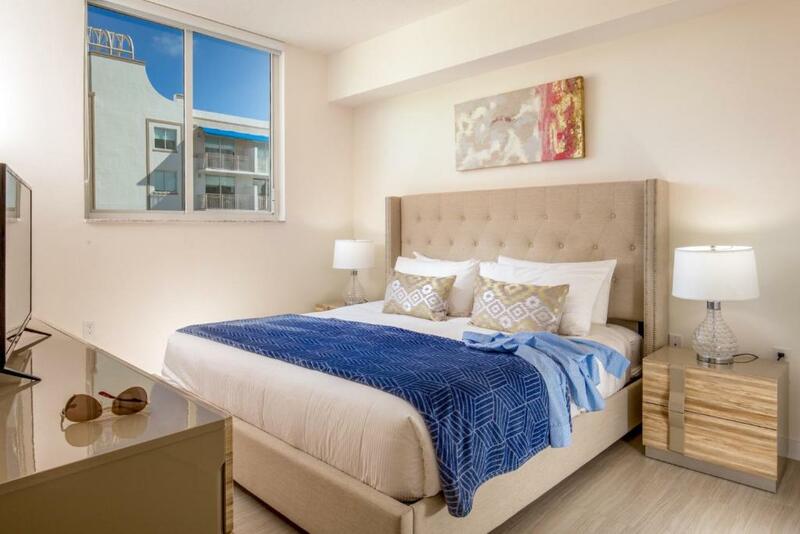 This 2-bedroom apartment has a balcony and a fully equipped kitchen with an oven, stove top and refrigerator. Private parking is available on site (reservation is needed) and costs USD 35 per day. This 3-bedroom apartment features a balcony, fully equipped kitchen and a living room. This 1-bedroom apartment has a balcony, living room and a fully equipped kitchen. Offering direct bay views, this premier 2-bedroom apartment features a balcony, fully equipped kitchen and a washing machine and dryer. Offering partial bay views and a balcony, this deluxe apartment features 2 bedrooms, a fully equipped kitchen and a living room. Featuring a spacious terrace, this 2-bedroom apartment features a fully equipped kitchen, a living room with a sofa and a private bathroom. Just 10 minutes off Miami Beach, the brand new Art & Design awaits you with your "home away from home". 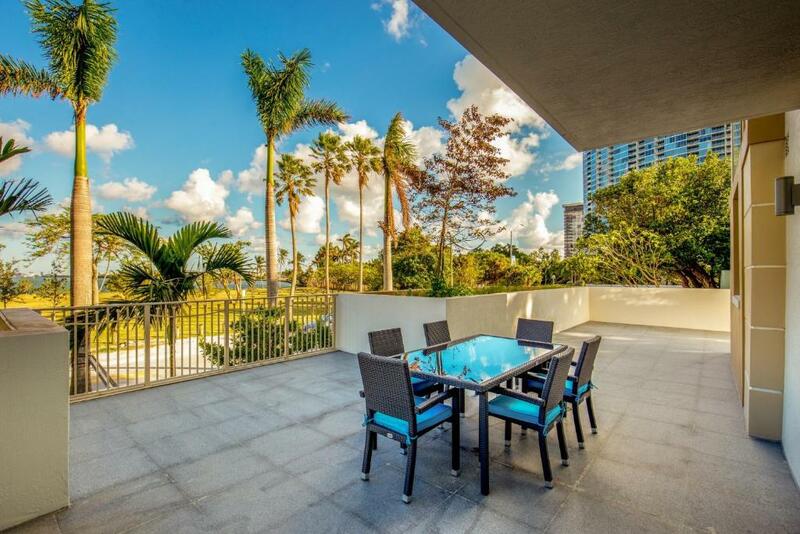 Services of this wonderful condo property also include an outdoor swimming pool right on the water, complete with sunbeds and loungers, a comfortable furnished patio area. In our dedicated concierge area we are pleased to offer free wifi and for your added convenience all units have free hi speed wifi included! The property is non-smoking. 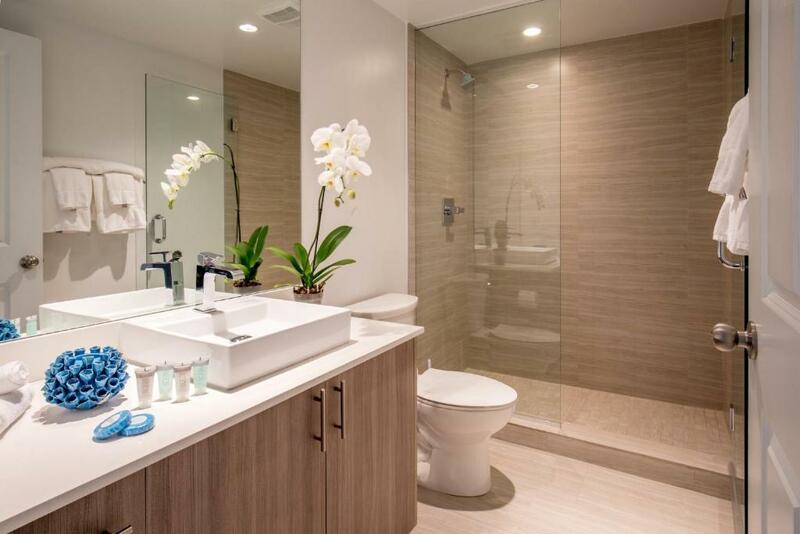 House Rules Mare Azur Design District Luxury Apartments takes special requests – add in the next step! Mare Azur Design District Luxury Apartments accepts these cards and reserves the right to temporarily hold an amount prior to arrival. Please inform Mare Azur Design District Luxury Apartments of your expected arrival time in advance. You can use the Special Requests box when booking, or contact the property directly using the contact details in your confirmation. all excellent and perfect Leo's welcome, congratulations for the availability and attention to guests! All was just great, nothing to add here. There is a big table in the apartment with two sides of it next to the walls so that there is enough place to walk around it. This makes it impractical to use. Not the fault of the property managers, but the park in front of the apartment is under construction. Which means, there a big mess to be seen from the balcony, and noise from 8am to 4pm. It would have been nice to know about it before booking. The 2 bedroom apartment has enough space for a family of 4. Once the renovation of the park in front of the building ends, there should be a very nice view from the upper floors. There’s nothing I didn’t like!